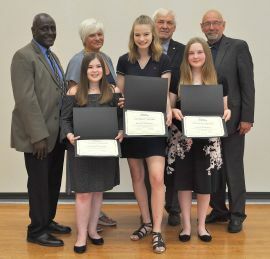 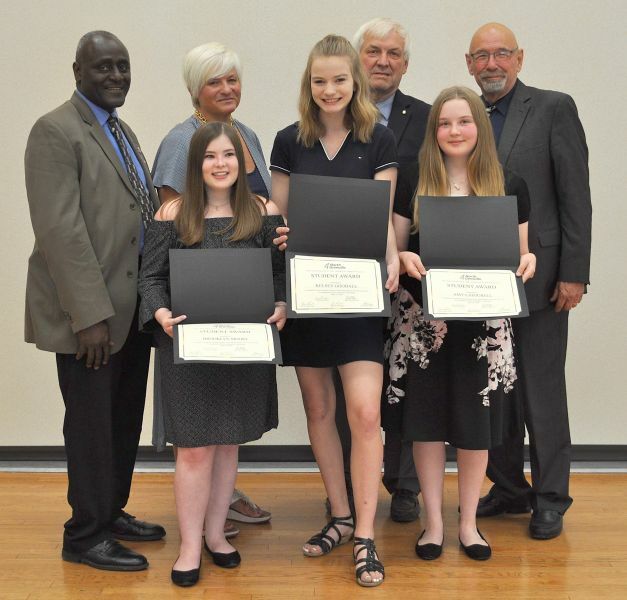 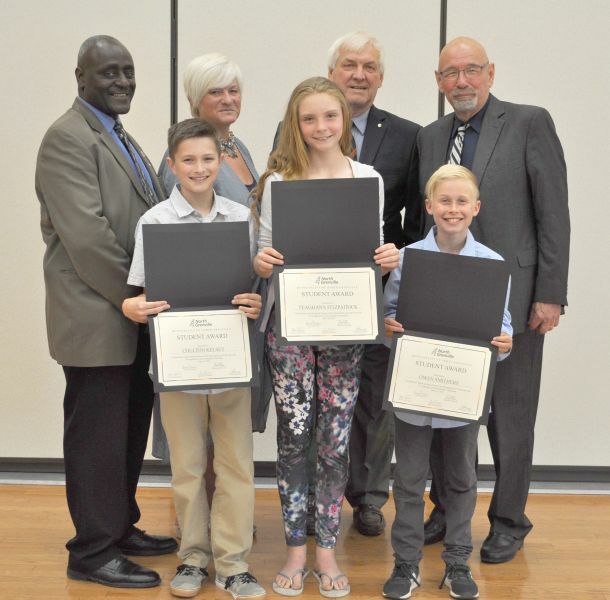 Every year the Municipality of North Grenville recognizes and honours the achievements and contributions of community members through the Civic Awards program. 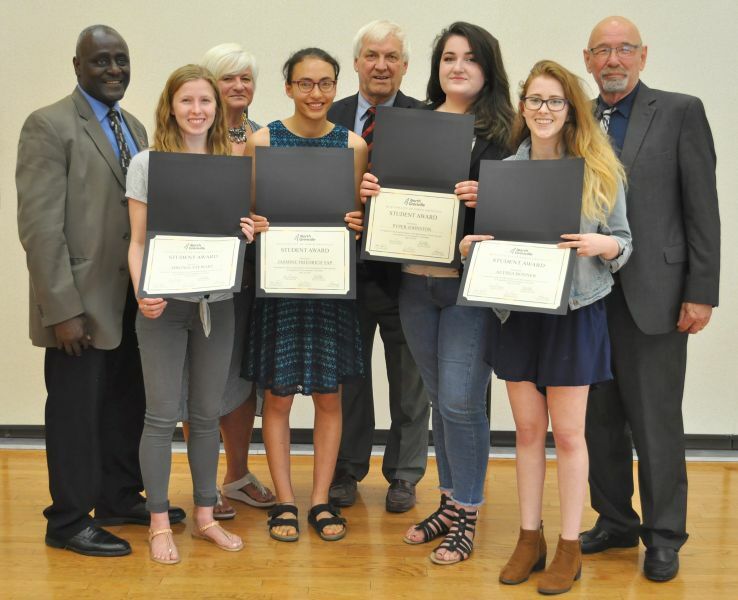 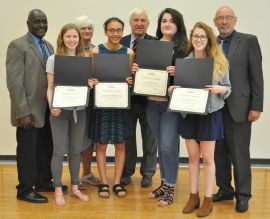 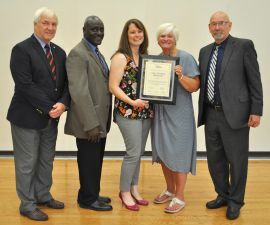 These awards express the Municipality’s appreciation for the many individuals and groups who are helping to create a community where people feel a sense of belonging and responsibility to each other and who are active participants in its development. 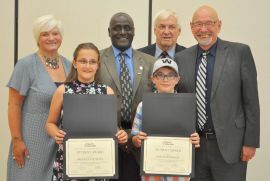 The Municipality is no longer accepting nominations for the 2018 Civic Awards. In 2017, in honour of Canada's 150th, a special Student Canada 150 Award was created to recognize students from local schools who displayed exemplary citizenship and this award will continue to be awarded on an annual basis with award winners chosen by school principals. The Civic Awards program is overseen by the Community Grants/Civic Awards Advisory Committee. 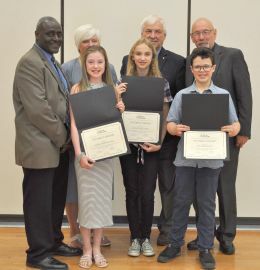 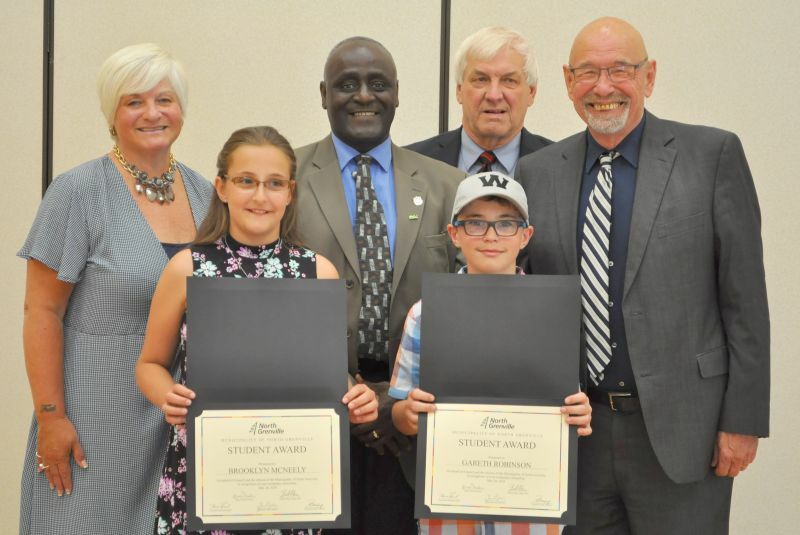 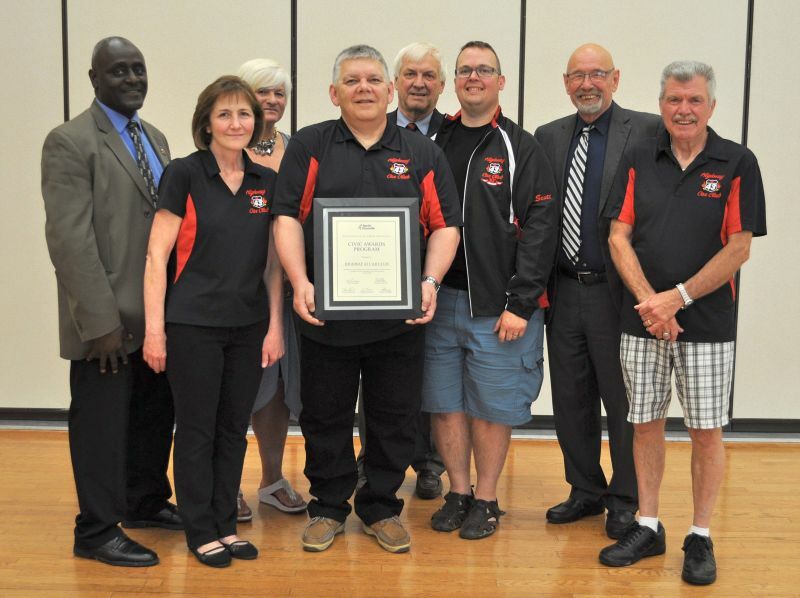 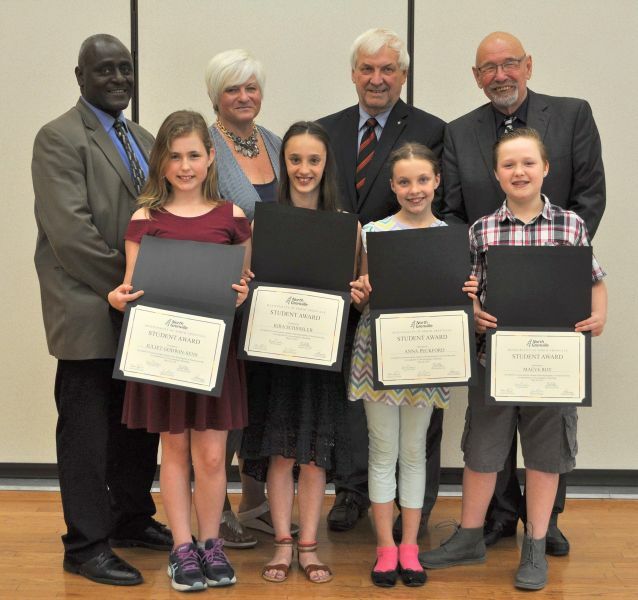 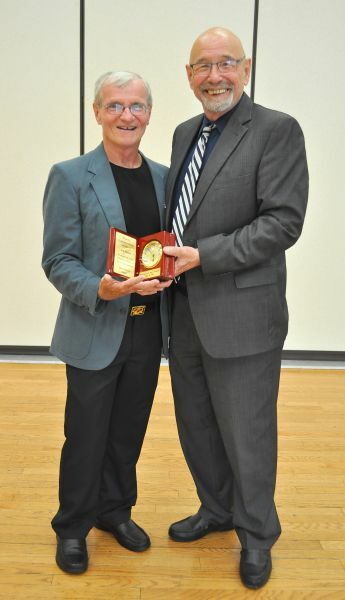 The North Grenville Civic Awards were presented during a ceremony at a Council meeting on Monday, May 28, 2018 following a reception for family and friends.